In mid-September I spent a week in Sydney with a colleague meeting with various senior executives in firms across the investment industry, including banks, wealth dealer groups, investment platforms, pension funds, fund managers, and industry bodies such at the Australian Financial Services Council. The topic du jour guaranteed to get conversations flowing was the Royal Commission into Misconduct in the Banking, Superannuation and Financial Services Industry. This was followed by fintech and how this is shaking up the industry, enabling new nimble players to offer better services at lower prices. For people in the financial service industry the public hearings between the Commission and the CEOs of firms such as AMP, the big-4 Banks, Australian’s regulatory agencies, and numerous wealth advice practices have been compulsory viewing. General admiration of the thoroughness of the Commission’s preparation and prosecution has been tempered by seeing industry leaders, and the industry in general, being brought into disrepute over practices ranging from carelessness, to greed, to outright fraud. And consternation that despite increasing compliance burdens and regulatory changes over the years practices remain poor. The Australian regulator ASIC has been bruised too. It’s no exaggeration to say that public confidence in the financial services industry has been shattered. Moreover, worse is expected to come when the Commission turns to examine advice practices and the retirement care sector. Anecdotes of huge commissions being paid to advisers recommending retirement care villages with very high fees abound. Here in New Zealand the problem has been described as one of ‘culture’ – senior management in the organisations concerned across the ditch have essentially encouraged a culture rewarding sales and profits at the expense of what should be paid for the services rendered or products offered. Fiduciary obligations to the customer has been trumped by short-term business interests. For example, and perhaps most significantly in terms of the impact on Aussie savers, is that Australian bank employees have been incentivised to encourage their customers to put their pensions into superannuation schemes owned by their employers. This is even though there is compelling evidence that the Australian bank-owned schemes are typically more expensive and poorer performing than the not-for-profit industry superannuation funds. Across the ditch the view being taken is that no amount of well-meaning ‘cultural’ initiatives, such as adopting industry and firm level codes of conduct, will fix the fundamental problem. It has been well-known for many years that the vertically-integrated businesses within the financial services industry embed structural conflicts of interest that place advisers and staff in a continual dilemma. Do I serve what is my own and employers best interest, or my clients? For this reason, most of the big banks in Australia are removing the temptation by divesting themselves of their wealth and asset management divisions or shareholdings. 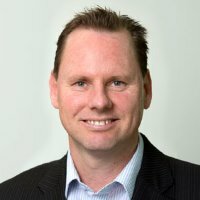 ANZ Wealth (Australia) has been sold to IOOF, Commonwealth Bank (the parent of ASB) has announced it will sell its wealth-management and mortgage-broking businesses into a separate company called CFS Group, while National Australia Bank (the parent of BNZ) plans to sell its wealth management division, MLC. Westpac is the exception, holding on to BT Financial Group. What does this mean for New Zealand? Banks in New Zealand have separate balance sheets from their Aussie parents, their own boards, and NZ banking leaders have certainly been at pains to say they have a different culture. However, clearly the same structural conflict of interest is present in our banking system. Just last week in a routine call with my bank about a transaction I was asked three times whether I would like to consider switching to their KiwiSaver and insurance options! Bank KiwiSaver and private wealth offerings (such as DIMS portfolios) are stuffed full of their own products, many of which are simple overlays on funds that can be obtained more cheaply by going direct to the underlying fund manager. Where is the contestability? How can this be claimed to putting client interests first? Given the Australian experience and the presence of the same underlying conflicts here it seems untenable for the industry to remain the same in New Zealand. At the very least, we would expect to see an opening up of the offerings to a broader range of products, and more contestability and independence brought into the investment and advice processes that vertically integrated firms run. We would also hope to see a lifting of standards from mere compliance with FMA regulations, to higher fiduciary standards of practices and conduct. The experience in Australia clearly shows that regulatory compliance (which is generally tougher and more prescriptive than here) does not guarantee putting client’s interests first. But while through such initiatives conflicts can be better managed, they will remain present. Ultimately conflicts can only be avoided by the sector divesting from wealth, funds, and insurance divisions or businesses. While our local banks have so far remained steadfast in their commitment to vertical integration, surely their Australian parents will be closely considering their options. We may even see some follow the lead of CBA and spin out their wealth divisions onto the NZX. The historic argument in favour of vertical integration from the end consumer’s perspective was scale. In principle a bigger business can better absorb the fixed costs of compliance and administration. It can also use its scale to get better pricing from suppliers – fund managers, insurance, and other providers. In practice, the scale argument is becoming less and less compelling. The fintech revolution is rapidly reducing costs to the asset management industry across compliance, portfolio administration, funds management and custody. Cost-competitive compliance and platform solutions are now available for businesses with smaller scale. In Australia, this market is intense with over 30 investment platform providers contesting for market share. Relatively new entrants may offer better pricing and services than incumbent firms given they are not encumbered by inefficient technologies. We would expect to see some of the Australian players look at our market in time given the current near duopoly between the platform providers FNZ and Aegis (part of ASB Bank). On the compliance side low cost ‘plug and play’ technologies are now enabling firms to scan their entire book daily for many compliance obligations, reducing the need for armies of compliance staff, much of the expense of external audits, and the risk that things will slip through the cracks. Scale buying power is also eroding. Fund manager fees across most asset classes also continue to fall, to the benefit of the end consumer. A range of simple index tracking products are now available at well-under 20bps (0.2%) for end retail investors, regardless of scale. Funds offered by active managers are also increasingly being made available direct to the consumer whether through ETFs, or platforms such as InvestNow in New Zealand. Our work with independent adviser groups through New Zealand suggests that many can secure competitive wholesale pricing from fund managers without necessarily having a huge book. Simplicity’s KiwiSaver option clearly shows that cheap fund manager pricing can be achieved even with a much lower level of scale than default KiwiSaver providers. Australia is going through a very disruptive time for all asset managers and investors. Compliance and regulatory burdens are no-doubt set to rise, and technological disruption is rapidly changing value propositions. These forces will all hit our shore in time, and we are already seeing some of the effects. It is notable that there has been a number of departures of senior advisers and fund managers from the banks to independent firms in New Zealand over the past year or so. But no matter how they exactly they play out the fundamental principle is that providers need to put a higher focus on their clients and customers. In turn, investors from ‘mums and dads’ through to larger scale foundations, charities and iwi trusts have a huge opportunity to benefit from these changes by selecting providers who are transparent across their fee structures and costs, who operate at a higher fiduciary standard, and who can demonstrate they put your interests first. A recent survey by Deloitte of over 1,000 Australian consumers found that around half do not trust their own financial service provider. Trust has been eroded through lack of confidence in providers ethics, social responsibility, data security, and belief their interests will be put first.